Apache Hadoop Cluster - If you don't have running cluster of Apache Hadoop, please set up Apache Hadoop 2.6 cluster. At this point, you will start seeing your new project (in my case, it is hdfs-basics) in Project Explorer. Next step is to add Apache Hadoop libraries to our newly created project. 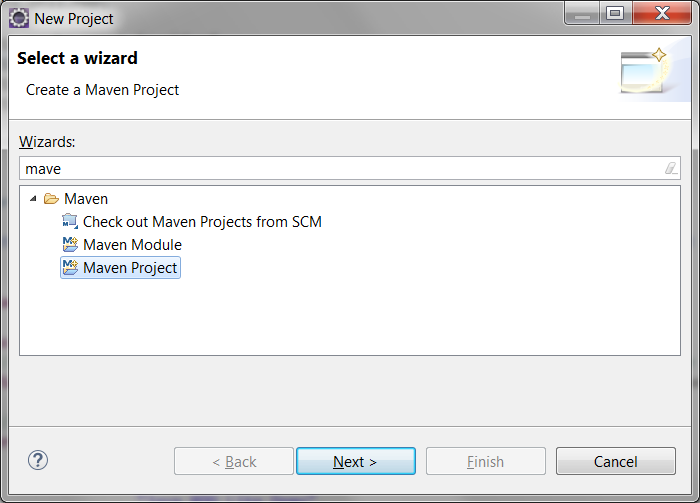 In order to do so, we will be adding following maven dependencies to our project's pom.xml file. 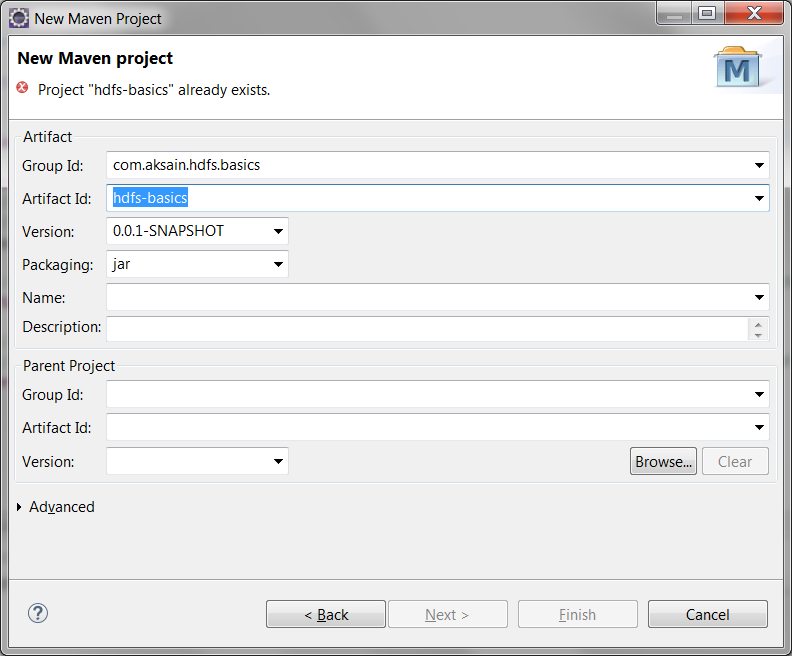 After adding these dependencies, Eclipse will automatically start downloading the libraries from Maven repository. Please be patient as it may take a while for Eclipse to download the jars and build your project. Now we will create a Java program for creating a file named tutorials-links.txt in directory /allprogtutorials in Hadoop HDFS. We will then add tutorial links to this newly created file. Please replace 192.168.1.8 with your HDFS NameNode IP address / host name before running the program. * Demonstrates creating of a file in Distributed HDFS and writing content into it. // Path that we need to create in HDFS. Just like Unix/Linux file systems, HDFS file system starts with "/"
You can execute this program simply by peforming these operations on our program: Right Click -> Run As -> Java Application. Here is the output that you will see if the program runs successfully. File Written to HDFS successfully! You can go to your HDFS user interface to browse the file system in order to verify whether file has been written successfully by visiting the link - http://192.168.1.8:50070/explorer.html#/allprogtutorials. Obviously you need to replace 192.168.1.8 with the ip address/host of your NameNode machine. Now we will create a Java program for reading a file named tutorials-links.txt in directory /allprogtutorials in Hadoop HDFS. We will then print the contents of the file on console.Please replace 192.168.1.8 with your HDFS NameNode IP address / host name before running the program. * Demonstrates reading of a file from Distributed HDFS.